A solid employee recognition and appreciation strategy is vital to engaging and retaining today's workforce. But all too often, recognition programs are created without obtaining input from the employees themselves — How do your employees want to be recognized? Whose recognition matters most to them? Do they feel like the recognition they receive is genuine? 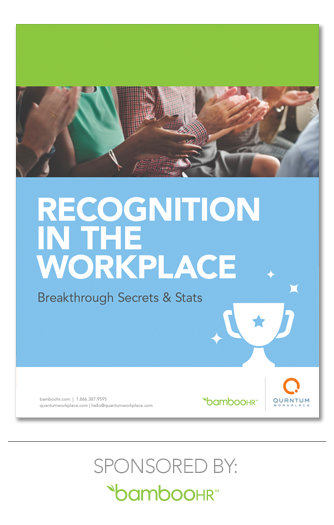 The latest research from Quantum Workplace and BambooHR uncovers breakthrough secrets and stats around employee recognition in the workplace to help fuel your employee appreciation strategy.